I also dropped by the DCA airport chapel to get some photos to add to my collection. 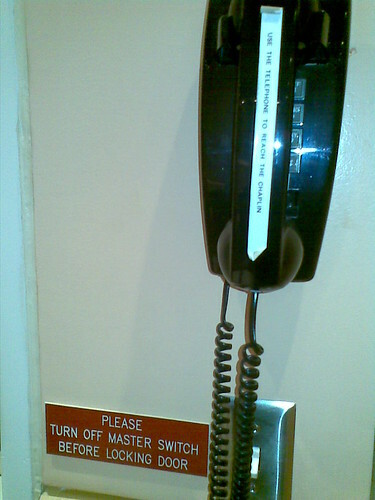 Especially fun was this closeup of the chapel phone by the Master Switch. Can you spot the typo? Does he come in with his bowler hat, cane, and Führer moustache to do a vaudeville-style routine in which he eats his shoe?